Digital advertising is a complex industry, where challenges and opportunities are plentiful. 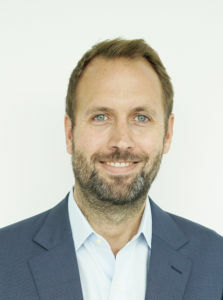 As the General Data Protection Regulation (GDPR) and artificial intelligence (AI) bring more of both, ExchangeWire caught up with recently promoted Adform COO, Oliver Whitten (pictured below), to discuss how developments in the advertising ecosystem are impacting ad-tech vendors, agencies, trading desks, brands, and publishers, in addition to his future plans. 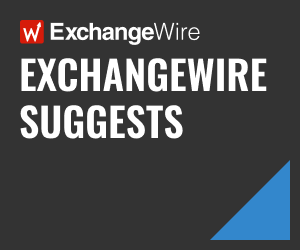 ExchangeWire: Having expanded your role at Adform to cover global responsibilities – what is your vision for Adform’s position in the market? Oliver Whitten: Adform is in the midst of an exciting journey as we transition from a well-established European player to a truly global presence. We’ve opened a number of new offices in the last 18 months across a wide range of geographies – from a second U.S. office in San Francisco to Paris and Mumbai – with a number more slated for the next 18 months. All of this reaffirms our vision and approach in building a fully integrated full-stack advertising platform and Adform’s role as an enterprise-level independent technology platform. This means blending our flexibility and independence with the ability to deliver at scale for the world’s largest agencies and advertisers. Because of how Adform has grown, and funded product investment and development, we’re in a particularly advantageous position for growth and adapting to the market. We made the decision ahead of the curve to pursue a robust buy-side offering that took a user-centric view of data, the trading process, and how that’s fed by creative. This product investment is showcased in our fully fledged DSP and DMP, which we’ve built out to complement our ad server. Full control over our products and an agile development approach also means we’re constantly working to enhance the products in a way that’s particularly sensitive to our client’s needs. With so many solutions available for media agencies, trading desks, advertisers, and publishers, is a full-stack solution the only way forward? It’s not the only way forward, and a lot of clients initially come to us with one or two of our products in mind; however, ultimately, they understand the efficiencies that come with a full stack and end up consolidating on the platform. Using a modular stack enables advertisers and agencies to build the solution that is tailored to their needs. We know there are some great point solutions technologies out there; but Adform is interoperable with almost all other solutions in the market, and this makes it very flexible for clients to build the stack they need. Increasingly, though, there are core competencies across creative, data, and trading that will live in the broader platform plays, and the apps plugged into these will address certain needs for the client and allow for ongoing innovation on top. In our opinion, the future will see a lot more movement towards a full-stack approach. This is a natural evolution in the same way previously standalone channels, like video or mobile, are now fully integrated as standard. There’s also never been more awareness of the benefits of consolidation, such as the ability to significantly reduce costs, better interoperability, etc., as well as the ability to mitigate against data loss and reduce the discrepancies and inefficiencies found when managing many tools. I would say one thing, however, and that is, not all full stacks are created equal. For Adform, our full-stack solution is unique, we built it from the ground up as opposed to through acquisitions, which is slower and harder to efficiently bring technologies together. It also means our technology has been built by the same development teams with the same development vision. That human aspect is something that often gets overlooked. The digital advertising industry has had a turbulent couple of years, what do you consider to be the key challenges for the ecosystem in 2018? Another story, which hits the headlines again and again for increasingly sophisticated activity, is ad fraud. As the ecosystem expands and the market becomes more complex, so too will fraudulent behaviour. From Methbot to the recent Hyphbot discovery by Adform, these increases in sophisticated hacker-like operations mean vendors will have to be on the front foot to protect buyers against rising fraud levels. To mitigate against this, the investment must be in place to protect against these ongoing and increasingly complex challenges. You can’t talk about industry challenges in 2018 without addressing GDPR. Ultimately, it’s a good thing for consumers, but a challenge for some in the industry. There has been great collaboration and industry alignment around the IAB principles. This meant that many companies were well-prepared, with Adform amongst them. We saw issues arise when some of the larger players in the industry left things until last minute. Their 11th-hour changes, combined with opportunistic moves and a lack of transparency in a number of areas, caused a bit of chaos across the market. As far as fallout from GDPR and ecosystem disruption, there have been some casualties in the ecosystem. In the short term, a number of companies have pulled out of Europe. This isn’t sustainable, for obvious reasons, and neglects the core trend that GDPR reflects. I think it has also been a wakeup call about the pitfalls of a highly reliant approach dependent on walled gardens, which have attempted to use GDPR and related trends as an opportunity for further isolation. On the positive side, the successful adoption of the IAB consent framework by almost all ad-tech companies and a lot of publishers (the latest number from IAB is over 15,000) actually means that ePrivacy does not look to be as tough a challenge as many believe, because the infrastructure and support for cookie opt-in is rapidly being put in place. One of the potentially biggest challenges for the digital advertising ecosystem could be how the industry addresses media planning, measurement, and attribution. The next wave of innovation here will be cross-media. We have seen rapid innovation surrounding programmatic data, bringing addressability and automation for ad-tech tools. 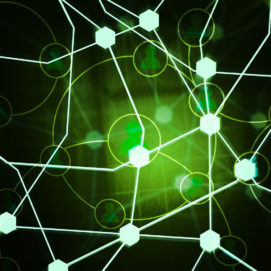 As processes and the industry matures, existing fragmented approaches will naturally be consolidated and streamlined. Attribution models that understand the impact of media, and the challenges today, are already emerging. These will naturally need to include outdoor and audio channels, as they become more addressable. Bridging these channels, combined with highly effective identity management, are key themes where we’ll see on-going evolution. This naturally disrupts and silo-busts, which empowers advertisers, but also requires the tools and a reframing in how we approach and use them to fully leverage the capabilities of the technology. Machine learning and AI are currently the big buzzwords in digital advertising. What is Adform doing in this respect? Adform’s technology utilises many sophisticated algorithms, including machine learning and AI, in order to help our clients optimise towards many different parameters. We believe AI and machine learning will have a huge impact in the years to come. As more and more media becomes digital – and, in turn, addressable to digital trading systems – there are just too many permutations and too many possible combinations of the right ads, the right user, and the right context, so automation is fundamental to solving those challenges. All these possibilities become a far too-large computational challenge for people alone to solve, which is where AI and machine learning principles will have the biggest impact. At Adform, we have an established data science team and have invested a lot towards our open-platform approach, which allows third parties to use our many APIs to build onto. This means businesses that have AI capabilities are able to build an automation layer on top of our platform, so our clients and many other third parties can build intelligence on top of our solution. Our in-house data science team is currently focused on developing a whole library of new optimisation algorithms, while our AI-driven sampling engine now allows users to reduce the infrastructure cost of listening to too much traffic in the programmatic environment by maximising data centre capacity. The big challenge for advertisers and agencies in the current landscape is differentiating between real algorithms and advanced data science. And, finally, with the GDPR now implemented, what impact do you foresee this regulation having on the wider ad-tech industry? GDPR has arrived, the world didn’t end, the industry hasn’t imploded, and the industry players who took GDPR preparation seriously have been in good shape, while those who ignored it, or were poorly advised, have had a more chaotic few days. As a privacy-by-design-based technology provider, and with our EU heritage, we were well-prepared and have been supporting our clients on preparation for the past year. It’s still early days, but we’re seeing that campaigns are delivering, budgets remain strong, and the channel is continuing to work well. Long story short, it has not been the doomsday scenario that some forecasted. The IAB has been working aggressively as a focal point for industry collaboration and doing great work, including a dedicated steering group that Adform’s CTO Jakob Bak has been heavily involved with and highlights the strengths when market players work collaboratively. The overall effect of GDPR so far has reaffirmed that everyone involved in the advertising value chain wants more control of their data and clarity over how it is used. This is as true for consumers as it is for advertisers and publishers and fully in line with the principles in the GDPR. Added transparency and mechanisms for control combined with standardisation is a net benefit for the industry, though it comes with some fallout. In the short term, buyers will need to adapt strategies and be agile as things adjust to a stable rhythm. It’s also likely that we’ll see some short-term consolidation in the market as those unprepared, or whose businesses face an existential threat from these changes, are impacted. These will also be balanced by positive upsides for others who have tools and services particularly well suited to a post-GDPR world. I think, historically, we can also anticipate that GDPR will create a new wave of opportunity that will lead to new markets and fresh innovation. Ultimately, we are now in a position where all participants have more awareness and control of data usage. The market is maturing and will quickly incorporate GDPR as a natural part of the process. The key is that the consumer is now digital and will only continue to become increasingly connected and digitally integrated. Investment will continue to follow.